We often press Window + E to quickly open Windows Explorer. By default it opens window containing default My documents folder and folder of user logged into Windows. However, at times specific user could be using a different folder as working folder and may want to open it directly using Windows Explorer action. Here are simple steps to change default Windows Explorer folder to any other folder on the computer. 2. 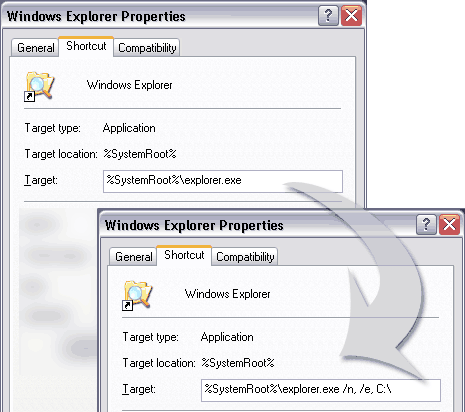 Right Click “Windows Explorer” & click properties option. After the change: click Apply, OK. Then goto Start > Programs > Accessories > Windows Explorer (or press Window + E) to see a different folder open instead of default folder.